I arrived a few minutes past the designated check-in time. Even though I was late and had to ring the bell I was greeted by Frank with a smile and friendly hello. He gave me a set of keys to my room and the front door. There was no pressure to immediately produce a credit card or sign paperwork. I was told that would be handled at check-out. 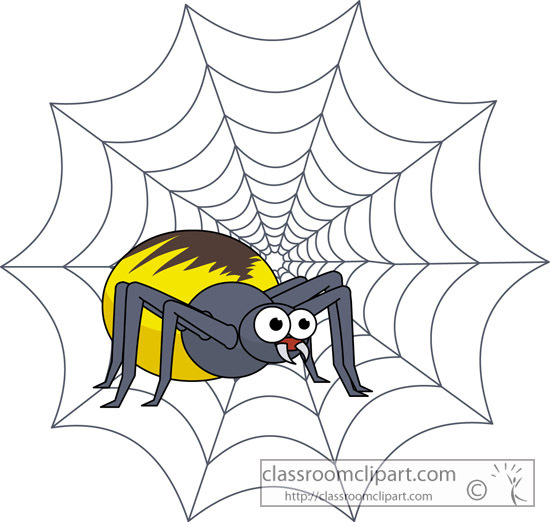 Frank gave me a tour of the house so I would know where to find amenities such as a refrigerator, microwave, coffee and tea, and a plate of home baked cookies. He pointed out a buzzer on the main floor that could be used to alert he and/or his wife, Cheryl, that assistance was needed. Frank then carried my suitcase up the steps and showed me my room and bathroom. Because my room had a private bathroom down a hall, plush robes were hanging in the closet to use if needed. MacLeod House features a large front porch with seating and group of apple and pear trees in the side yard. A spacious back yard in this country setting provides a peaceful atmosphere for relaxing or sleeping. Photo copyright 2016 Grace Grogan. Cheryl came out to meet me before I left for dinner. She provided me with the time range for breakfast, told me what she was planning to serve each of the days, and inquired as to whether I had any dietary restrictions and if the planned menu met with my approval. It was friendly, relaxed, courteous. There are no frazzled workers, elevator waits, loud kids or drunken patrons navigating the halls at 3 am. It was peaceful, quiet, relaxing. The home is decorated in antiques. Furniture, photos, bedding, lamps, decorations, all reflect a bygone era. It is as if you have stepped back to a time of elegance and beauty. The old-style lamps in the bedroom give it a relaxing ambiance that no modern light will ever provide. I enjoyed relaxing in one of the chairs in my room each night, munching on a cookie and reading for a bit. When I was ready to climb into bed I flipped on the TV for a bit before dozing off. There is no street noise, no traffic. The quiet took me into a deep slumber. Morning greeted me with a bathroom stocked with home-style towels, washcloths, bath rugs, and shower gel. None of the harsh white, hotel style bath accessories and cosmetics carrying a hotel logo here. On a table on the second floor landing are brochures of local attractions and a basket of toiletries in case a guest is in need of something. Once I was showered and dressed for my day I headed down to the dining area for breakfast. I found one couple there enjoying their meal. Another couple joined us a few minutes later. Cheryl prepared our breakfasts as we arrived. French toast with creme cheese and peaches, served with sausage links on day one, omelets and thick toast with jams on the second. Coffee, tea, orange juice and water were available, as were breakfast breads. It was pleasant talking with other guests, learning where everyone was from, how long they plan to stay, where they have dined in the area, and sights they have taken in. A nice pleasant way to start the day. By now you may realize that my stay was at a bed and breakfast, more specifically MacLeod House in Newberry, Michigan. This was my first time staying at a B & B and I loved the experience. I will definitely look into this type of lodging when traveling in the future. Being a solo female traveler, I felt so much more secure in this environment than I do in a hotel or motel. No large parking lots, elevator rides and long hallways to navigate alone. It is a cozy, friendly atmosphere. When I made my reservations I was told that I would need to change rooms from one night to the next due to a prior reservation. It was handled easily with me packing up my bags before I left in the morning for my day out. When the rooms were cleaned my bags were moved to the new room. This turned out to be a wonderful opportunity because it allowed me to stay in two different rooms, each with their own unique decorating scheme. My first night I was in the Rose Room, which I found cozy and inviting. This room had a private bath down a small hall; room amenities included plush robes to use if needed. My second night was in the Gold Room, which was a bit larger and had a private attached bath with a footed tub shower. They also offer a suite, which I did not personally view. I have no idea which room I will select the next time I visit that area, as each is unique and inviting. 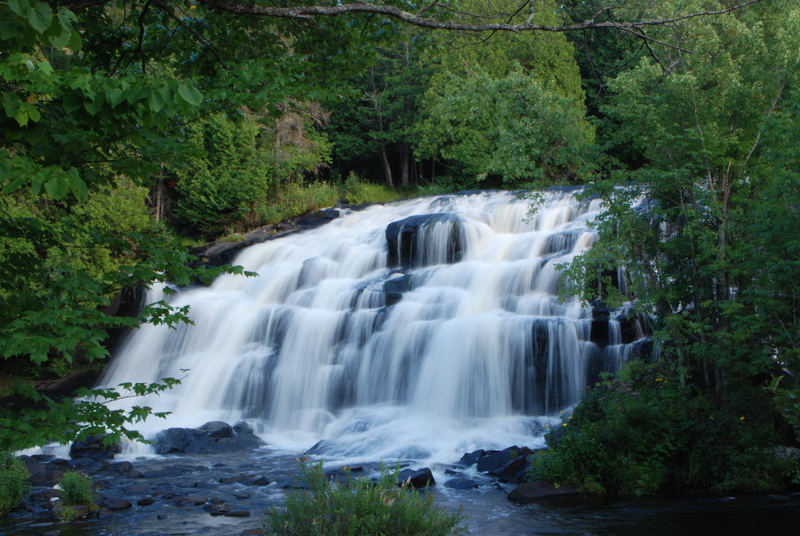 Newberry is near many local attractions such as Taquamenon Falls, Oswald Bear Ranch, Ste. Saint Marie, and Pictured Rocks. I highly recommend checking them out the next time you are traveling in Michigan’s upper peninsula. I grew up in a small town, which beat out another better-known small in a Michigan’s best small town popularity poll run by the Lansing State Journal. It only won by six votes in the final round, so definitely a tight race. I haven’t lived in Eaton Rapids, Michigan since I married and moved away in 1981, but I have family there and have spent a considerable amount of time there over the years. While I prefer my current residential location, Eaton Rapids does have a historical, small-town appeal that many love. 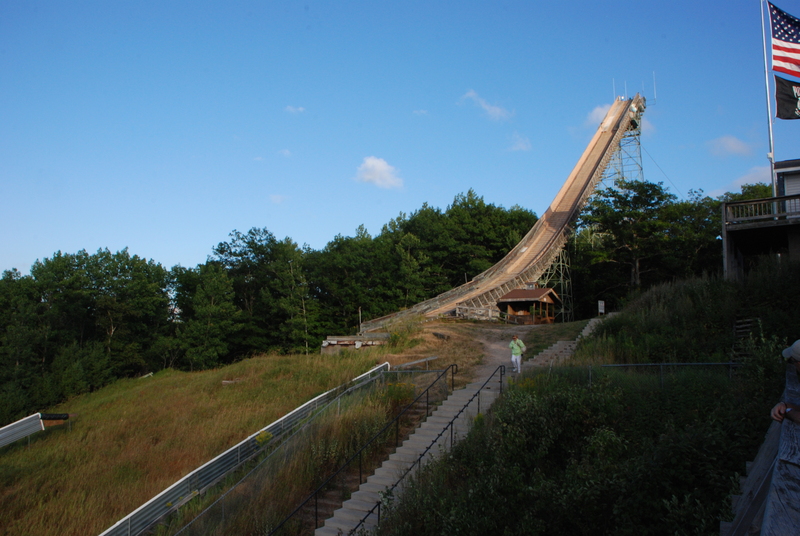 Before I delve into my hometown too deeply, let me give a thumbs up to the runner-up, Charlevoix, Michigan. 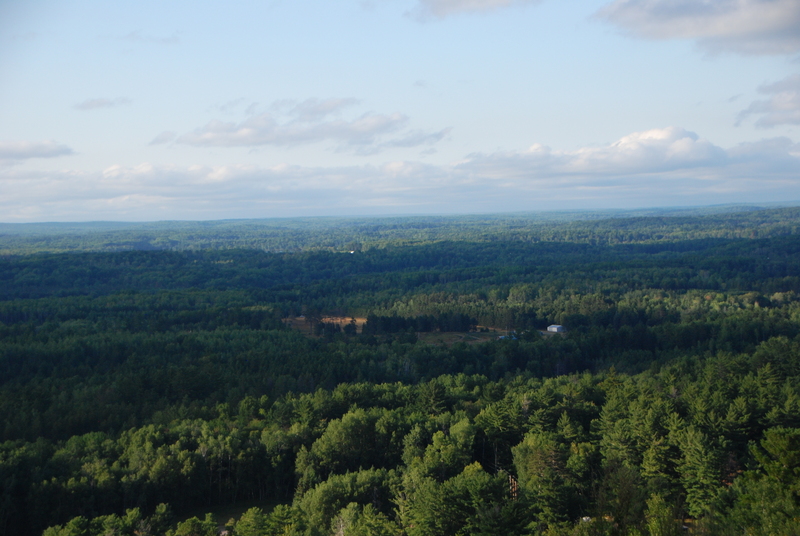 I have always loved Charlevoix from the first time I went there. 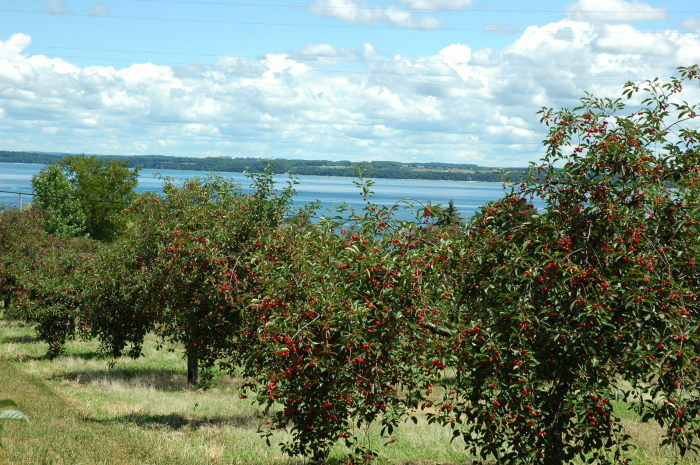 Charlevoix is bordered by Round Lake on one side, Lake Michigan on the other. Grab a whitefish dinner “to go” at Terry’s Restaurant, then walk across the street to sit in the park and eat overlooking Round Lake. 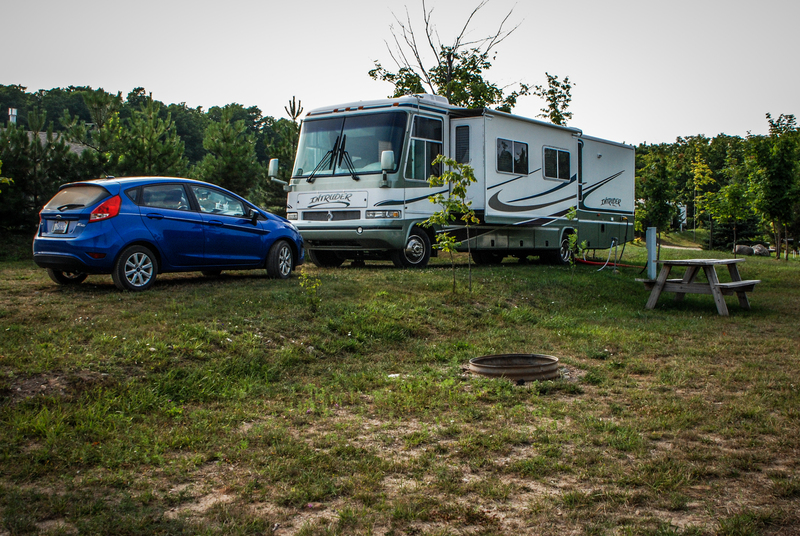 A great, relaxing stop in northern Michigan. 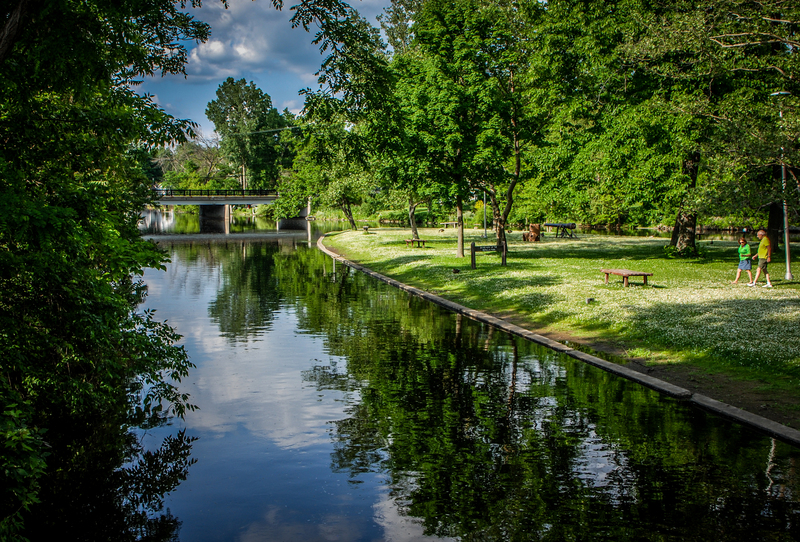 Eaton Rapids, although not on any large bodies of water, is an Island City, the the G.A.R. park is an island within the island. The Grand River flows in and around the city, and everywhere you drive you are crossing bridges. Home of Miller Ice Cream, I grew up in a subdivision just down the street from Miller Farm #1, which is now a small historical village with an ice cream parlor and beautiful flower gardens to stroll. Eaton Rapids is also home to the VFW National Home, the only one in the United States. The town’s latest claim to fame is the hosting of an Urban Air event, when vintage Airstream trailers line main street for a long weekend. I have not yet attended this event, but am putting it on my calendar for this year. Hopefully no conflicts arise, because I really want to visit during that time. Downtown, small-town features include an old-fashioned telephone booth that actually works, a river walk, the Island City Park, and several great eateries, including patio dining at Darb’s. Congratulations to both my hometown of Eaton Rapids and another favorite, Charlevoix for being the best two small towns in Michigan. 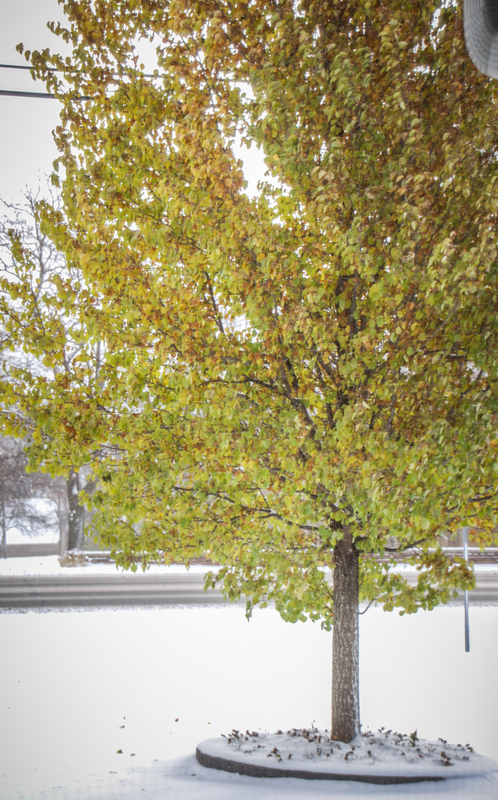 Here in Michigan we had a very mild fall and early winter. Temperatures in the mid 40’s and a very small amount of snow. It was wonderful. People did have trouble getting into the Christmas spirit. It was hard to get into the shopping mode with green grass and wearing spring jackets when under normal conditions it would have been cold and normally some light snow. Now the holidays are over and we are ready to break out the flip flops and head to the beach, but Mother Nature played a trick on us — well, actually tossed reality back at us. It is now running 18 degrees, parts of the state are under heavy snow, and we have had to haul winter jackets and gloves out of the back of our closet. Where is Spring? It is hiding down the hill and around the corner. It may peek at us now and then, just to remind us it does still exist, but is not going to spoil us and break out for at least another month or so. 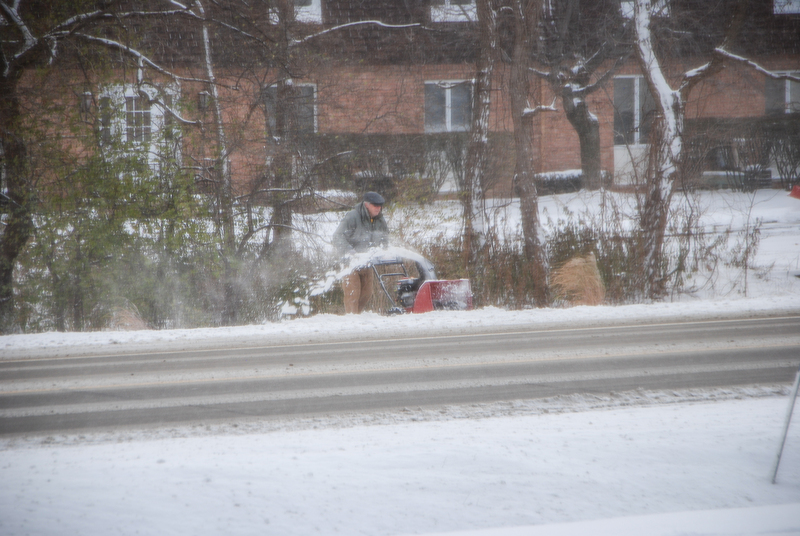 April snow storms in Michigan are not unusual. Michigan takes a beating on its weather. A popular saying in our state is “If you don’t like the weather wait ten minutes, it will change.” This is very true. 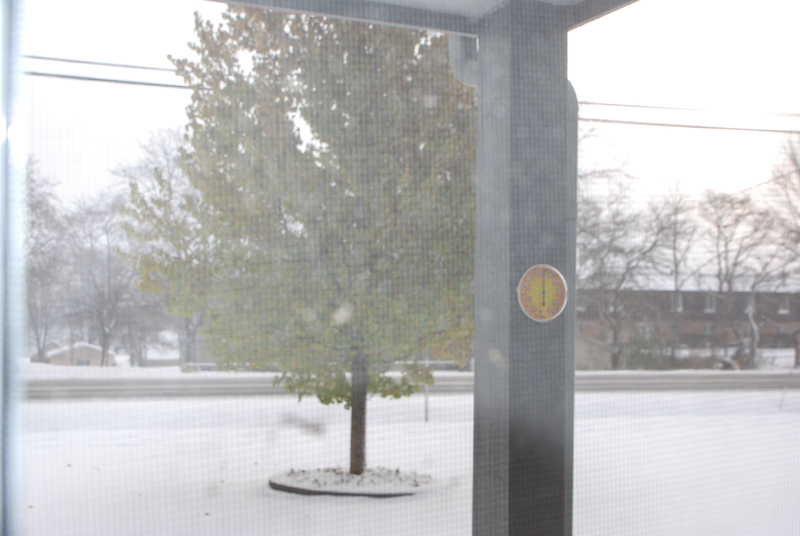 Michigan weather is unpredictable and because of that putting your faith in a weather report is suicidal. However there is one thing to be said for Michigan. We rarely have true natural disasters. While Michigan is not completely immune, it does not normally have news breaking weather like so many states do. Tornadoes, forest fires, hurricanes, mud slides, floods, earthquakes, and massive life-stopping snow storms are not the norm. What temperamental weather we get can generally be dealt with and resolved within a day or two. So, as much as I would love the warm sunshine of a hot summer day, I know that is still in the distant future. For now I will trudge through the skiff of snow, scrap the frost off my windshield, and drive with my car set to defrost more often than heat. 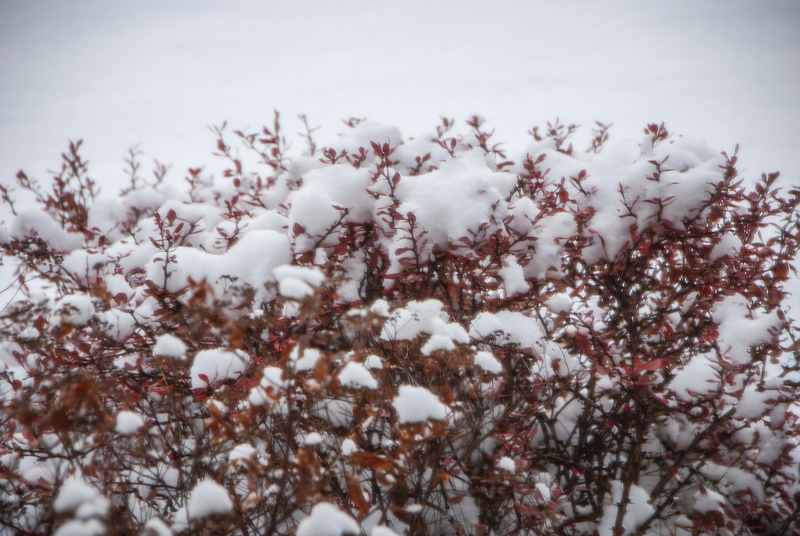 Yep, it all sounds good, but I do have one final question….Where is Spring? This past weekend I toured a beautiful, spacious, historical sight located in Traverse City, Michigan. When I was growing up the Northern Michigan Asylum / Traverse City State Hospital was still operational. Lack of funding eventually closed the facility and those remaining patients were turned out and onto the streets with nowhere to go, nowhere to live. 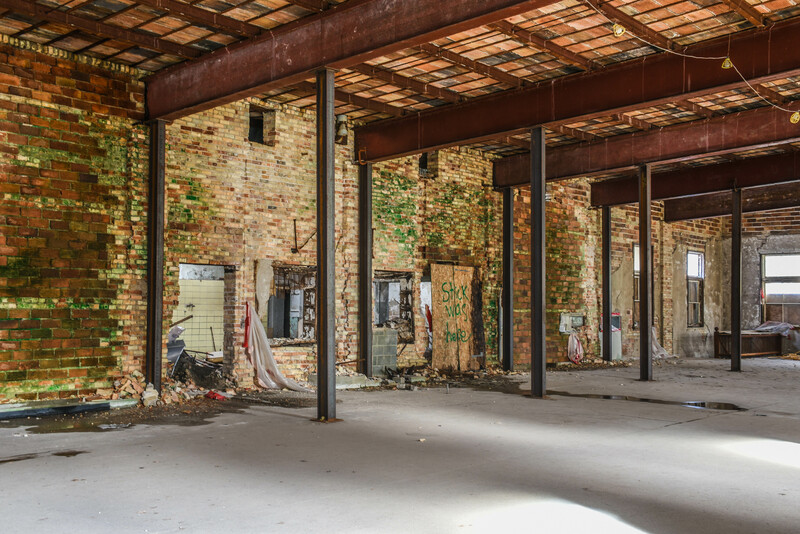 The 63-acre site and its buildings of beautiful architecture deteriorated and were almost destroyed. Word got out and those desirous of preserving such a beautiful historical location stepped in and renovations continue today. 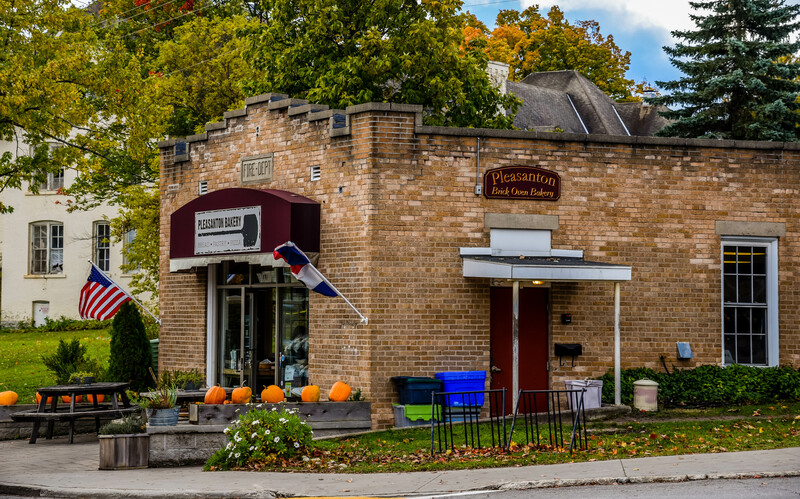 Now called The Village at Grand Traverse Commons, it is one of the largest historic preservation and adaptive reuse developments in the country. The eateries and shops of The Commons. Photo by Grace Grogan, copyright 2015. 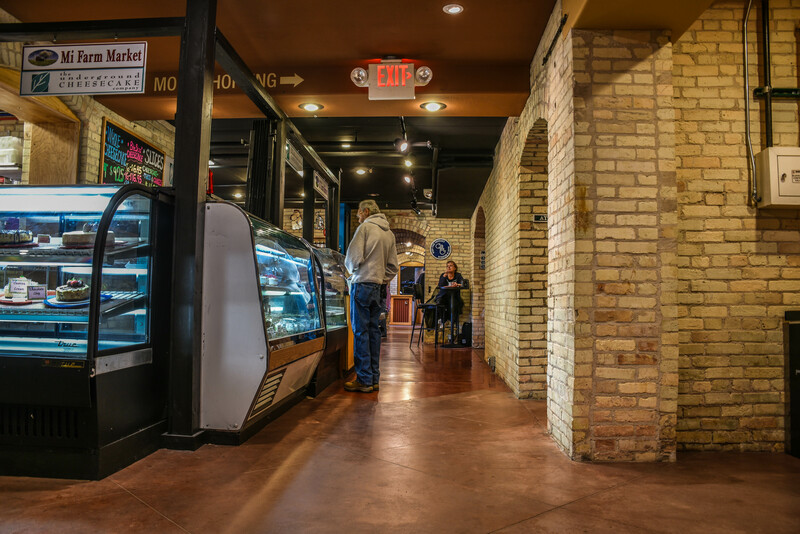 Former historic buildings have been transformed into an indoor marketplace with a variety of gift shops, professional services, artwork, offices, eateries, condos, and a restaurant. The location is alive with activity. Outside there are walkways and lawns to explore on 480 aces of preserved land. The restoration of historic barns and a botanical garden are underway. If you really want to learn about the history of this asylum for the mentally ill, take a guided tour. 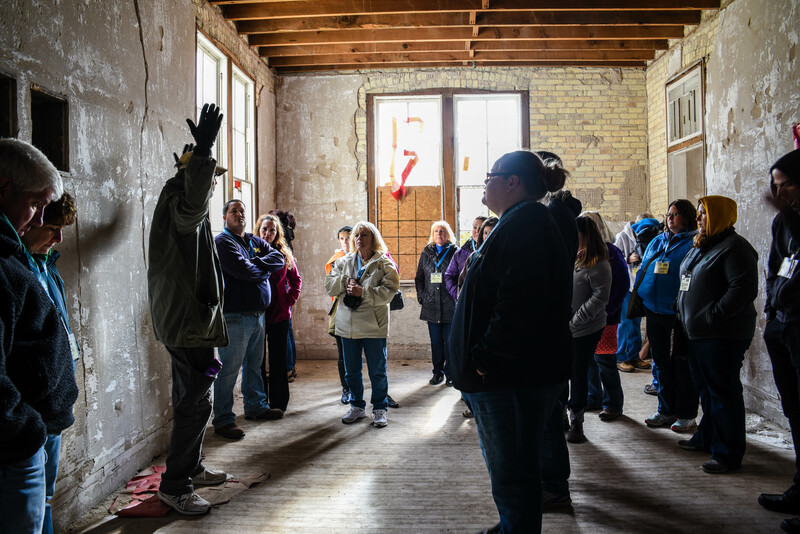 This two hour tour takes you into buildings that are in the process of being renovated and provides you with a vast amount of information regarding the lifestyle of those in residence there, the way they were treated, and how innovative this facility really was. Our tour guide was very informative with a a great personality and sense of humor that was constantly wound into his presentation. You know you are in good hands when before the tour begins he announces that people should use the restroom and then says “sorry, its the mom in me”. 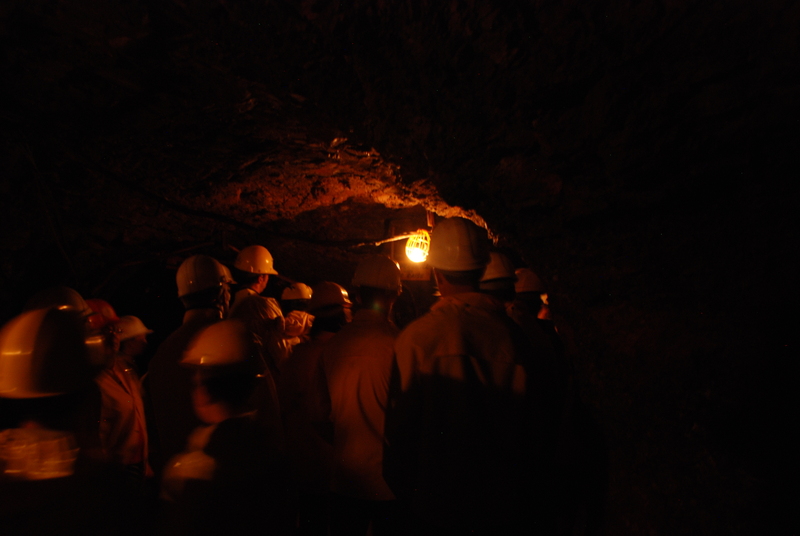 The tour is two hours of walking, both inside and out. The information provided is interesting and informative. Not only about the architecture and design of the buildings themselves, but also about Dr. Munson, who designed the facility, and his “Beauty is Therapy” theory on providing treatment for the patients. The facility was very innovative in that it treated patients as if they were thinking and feeling humans, not something to be thrown away. He gave them incentive and pride by providing them with jobs on the facility. Working in the kitchen, creating tile, woodworking, working on the dairy farm, and more. Residents enjoyed their lifestyle and took pride in their “home”, which is what the facility was to them. Furnishings were luxurious and comfortable, dining was on the equivalent of a fine restaurant with table clothes, fine china, and fresh flower center pieces. Touring the Traverse City Commons. Photo by Grace Grogan, copyright 2015. The tour includes a short period of walking outside in which you learn about some of the buildings before proceeding inside. 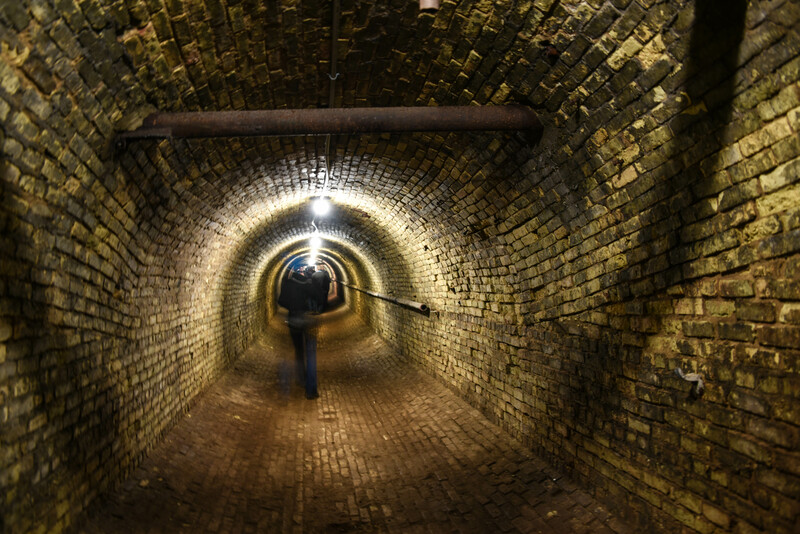 You will enter an non-renovated historic building, a renovation in process, and learn about the purpose in the way the architecture was designed, how the patients were housed, and then finish the tour with a walk through a brick steam tunnel built in 1883 and a visit to an area of The Commons where offices are located. Once the tour is complete make sure you visit a few of the shops and eateries. Books, gifts, ornaments, T-shirts and more await the shopper. 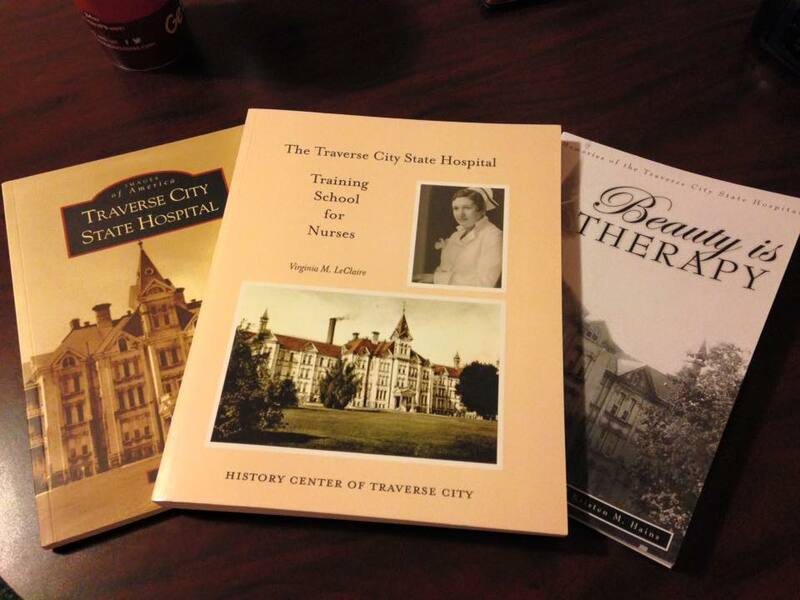 I purchased three books while there, Traverse City State Hospital is a pictorial history, Beauty in Therapy is a memoir, and Training School for Nurses is a guide of the training that nurses underwent to work at the Insane Asylum. I look forward to reading and learning more about this unique place. This past weekend I had the fun of staying on an uninhabited island with my sister and two female cousins. 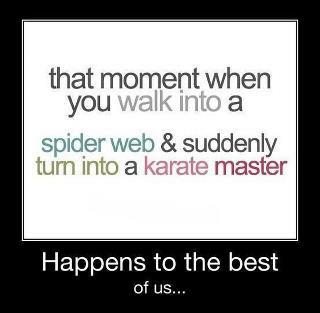 It is a unique experience, something everyone should do at least once in their lifetime. There is something about being away from everything and unconnected from the world — no TV, no radio, no telephone (cell phones only worked down by the water, not in the lodge), no electricity, no indoor plumbing except for non-consumable water at the kitchen sink, no air conditioning, no street lights, no cars, no other humans on a 263 acre island. 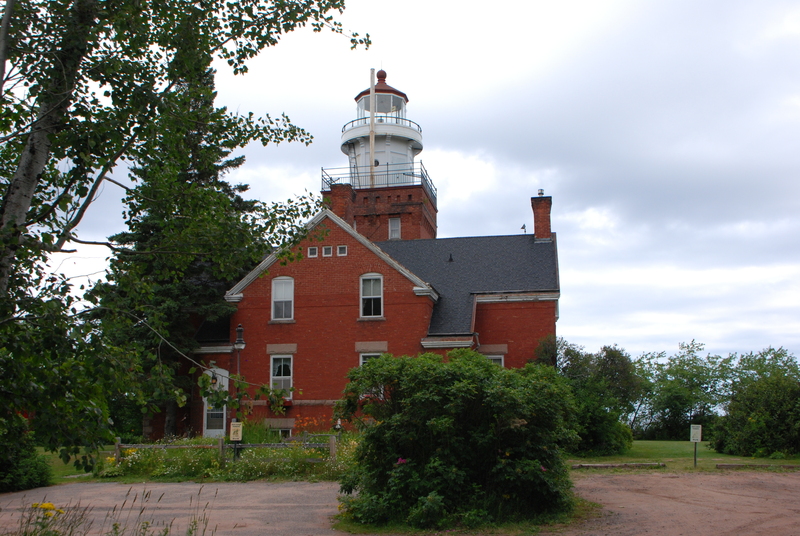 There is an operating lighthouse and you may see ships and other boats passing in the distance on Lake Huron. It is a peaceful existence. Our journey began at a boat dock in Alpena, Michigan. It is there that Captain Mike met us. He loaded our luggage and coolers packed with food for the weekend onto a boat and transported us 2-1/2 miles out to Middle Island. The Middle Island Keepers’ Lodge where we stayed is a former U.S. Coast Guard foghorn building that has been transformed into a beautiful and comfortable lodge. 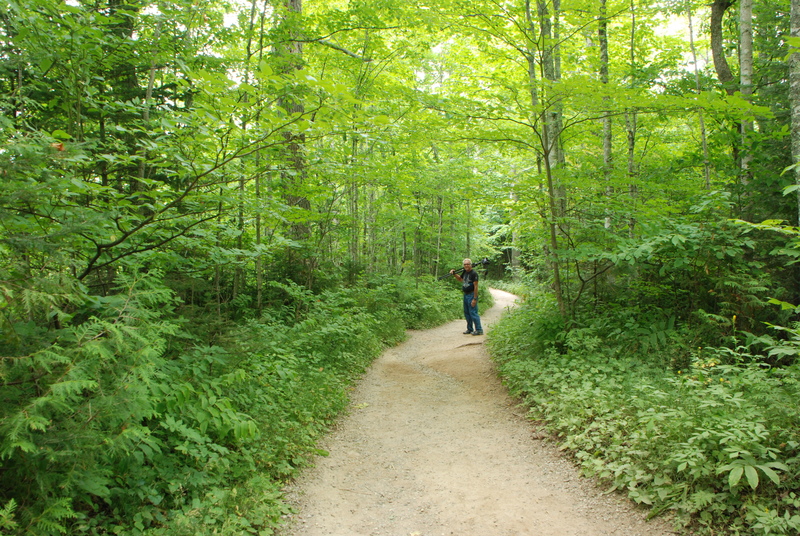 The lodge is a 2/3 mile walk from the boat dock down a trail through the woods. Captain Mike loads up and transports all luggage to the lodge for you. If you are unable to make the walk you can hitch a ride in the small 4-wheel vehicle he keeps there for providing luggage transport. Ready to begin our adventure in true fashion, we all elected to make the walk. On the journey we walked past a more rustic cabin that is also available for rent on the island, and another trail that leads down to where there is a sinkhole in Lake Huron. 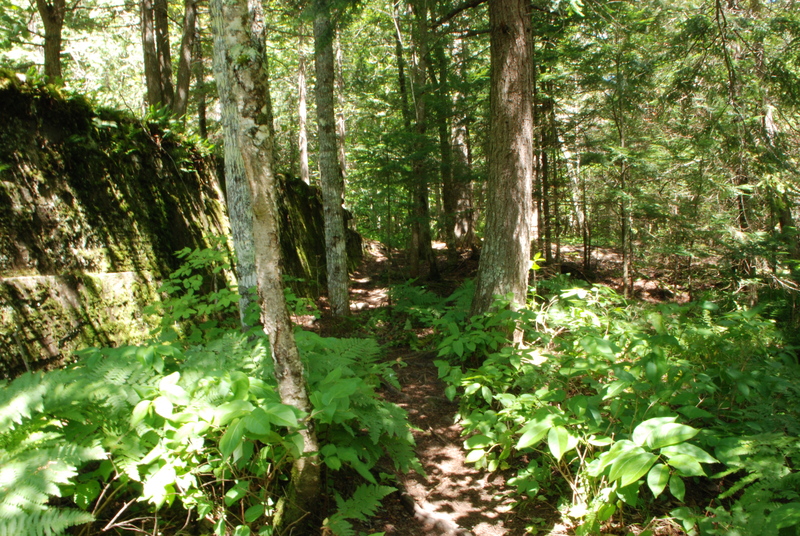 The trail to the lodge is peaceful and quiet, the perfect beginning to our weekend. Once everyone has arrived at the lodge and the luggage is unloaded Captain Mike gives a tour of the lodge and shows everyone how to operate the propane lighting inside the lodge and the propane heated shower out on the deck. While we get settled in Captain Mike goes out to cut and deliver firewood to the campfire area down on the beach. 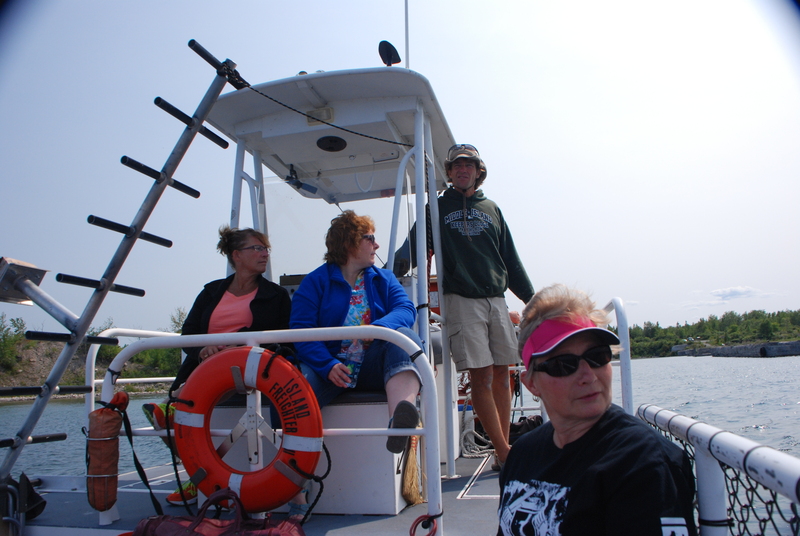 Captain Mike then leaves us on the island and will return on Sunday to provide us with the opportunity to tour and climb the lighthouse before transporting us back to the mainland. 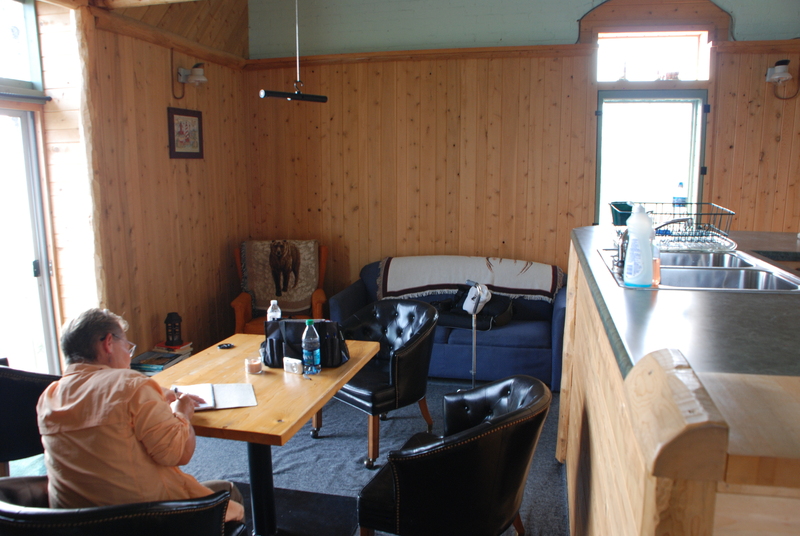 The lodge is roomy and comfortable with a large modern kitchen. The range and refrigerator/freezer are powered by propane. There is running water in the sink that can be used for washing dishes, bottled water is provided for human consumption. The sink and shower water is pumped in from Lake Huron. A comfortable dining area, a couch and two chairs, plus a bar area with four stools provides plenty of seating. In the main area there are propane wall-mounted lights. A small free-standing fireplace is there for use in cooler months, but there was no need to use it during our stay. Large windows, a front door, back door and sliding door provide plenty of cross ventilation to keep the cabin comfortable. For families there is a loft accessible by ladder that holds another table and chairs, a single bed and bunk beds, making this an ideal family retreat. For eating and socializing there is a picnic table on the grass out the “back” door, a table and four chairs on the back deck, and a bench and washline on the main entrance deck where the shower is located. Even the porta-potty just off the main deck area is clean and contains a battery operated light for nighttime use. As the golden hour approached we ventured down to the beach and fire pit area to light a fire and watch the sunset. The beaches here are not sand, they are covered in limestone/shale rock. 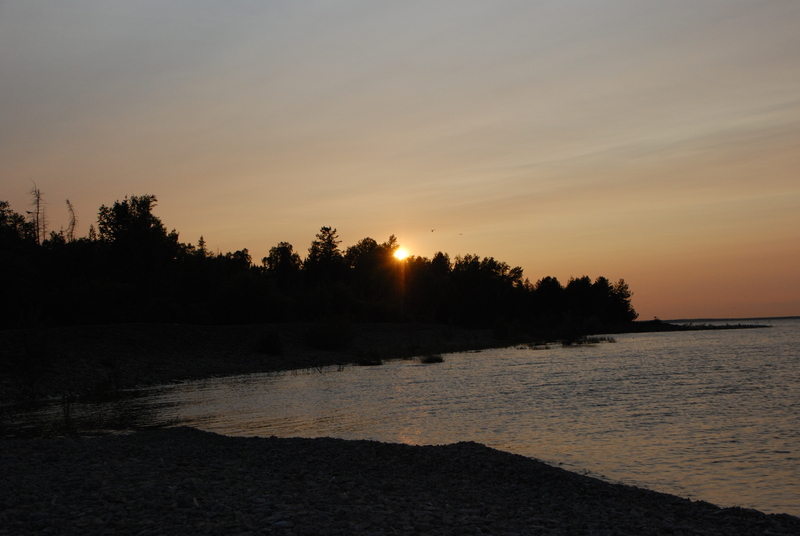 As we watch the sunset over Lake Huron we notice that a huge flock of seagulls nest on a strip of land that juts out into the lake, and they periodically take off in large groups for a moment before once again landing on their nesting area. 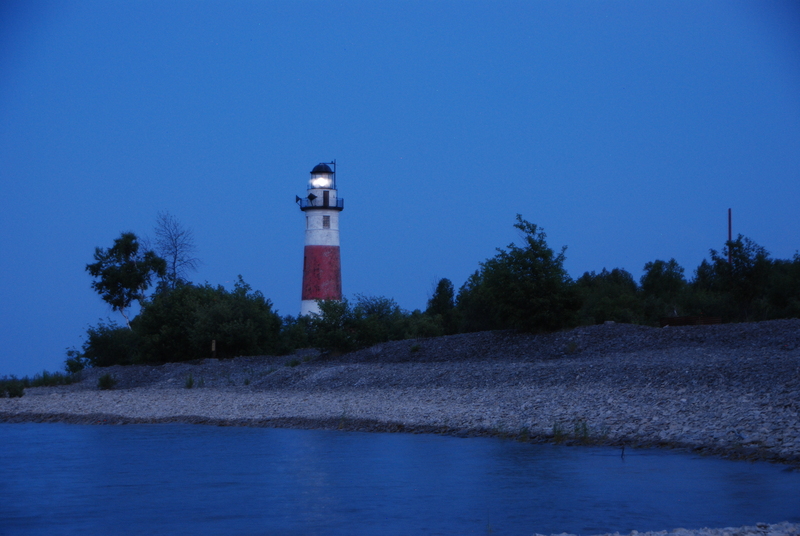 As night falls we are able to watch the lighthouse come to life, with its beacon reflecting into the water. Without the distortion of city lights the sky is pitch black and the stars are crystal clear. A beautiful sight. Our flashlights came in handy making the walk back up from the fire pit to our lodge. When you are used to always having some form of unnatural lighting around it is amazing how absolutely pitch black nighttime is. You may think you sleep soundly, but when there is absolutely no sound except the distant sound of waves on the beach you learn how soundly you really can sleep. I live on a state highway and am used to sleeping with the sounds of cars going by off and on all night, plus the vibration of ships going up and down the river and the occasional sound of their fog horns. On Middle Island when you go to bed and there is no sound. Quietness envelopes you into a deep and peaceful sleep. Our first night on the island we stayed up late socializing, but Saturday night we made sure we went to bed at the reasonable hour of midnight and set an alarm to watch the sunrise Sunday morning over Lake Huron. I am beginning to sound like a broken record, but that was a beautiful and peaceful sight as well. 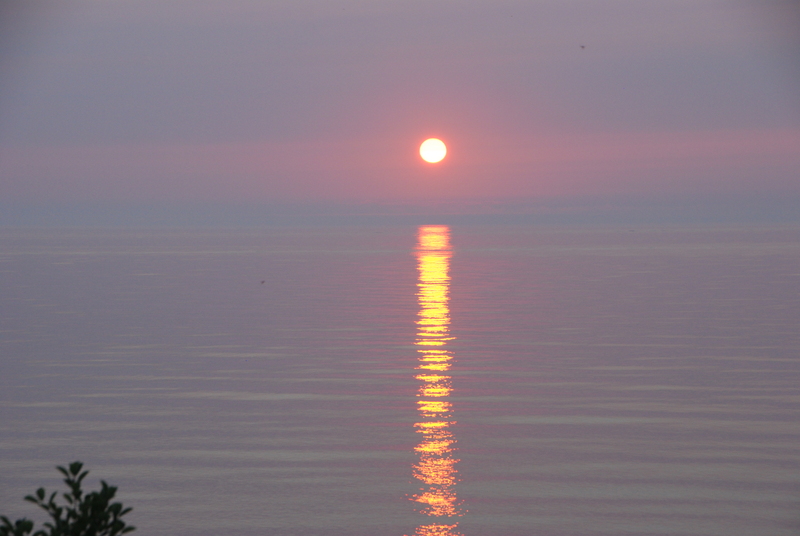 The sun rose at approximately 6:08 am and there was only one lone sailboat out on the water at that time of morning. A sight definitely worth rousting yourself out of bed early for. What do you do on an uninhabited island? Spend time talking to people, really talking without the interference of tv, computers and text messaging. Read a book or the newspaper articles that Captain Mike keeps on hand that tell about the island and special events that have happened there. A small selection of games, puzzle books, and cards are on hand. Read the journal books that people have written notes in talking about their stay on the island. Everyone loves the time they have spent on the island and there are repeat visitors who have made journal entries over the years during each visit. One thing is certain, everyone enjoys their time spent on Middle Island. That was one of our Sunday activities, each of us wrote our own short paragraph about our stay on the island, and it was fun to read each entry. Although the majority of our time was spent together as a group, our thoughts and experience the things that inspired us about the island, varied slightly. 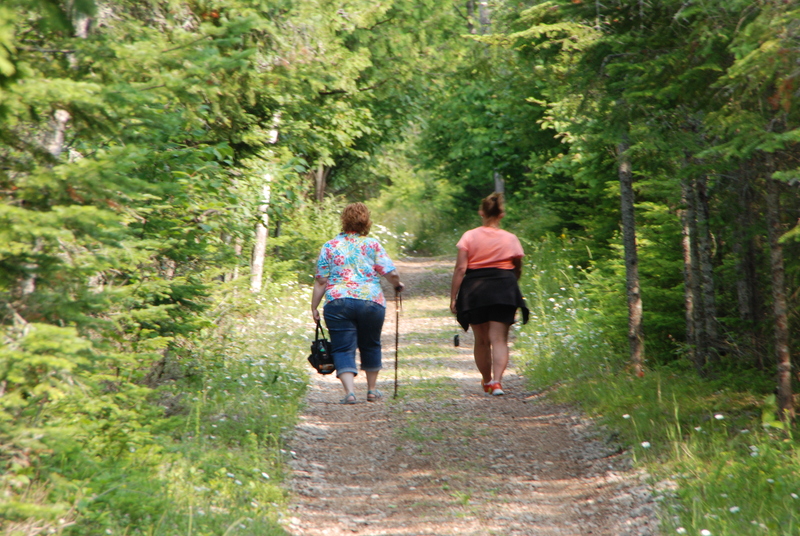 If you are physically able to do so do not miss out on walking the trail on the island. Allow about four hours and take a water bottle with you. If you have any physical challenges a walking stick or in my case, a cane are also important…and don’t forget to take your camera. 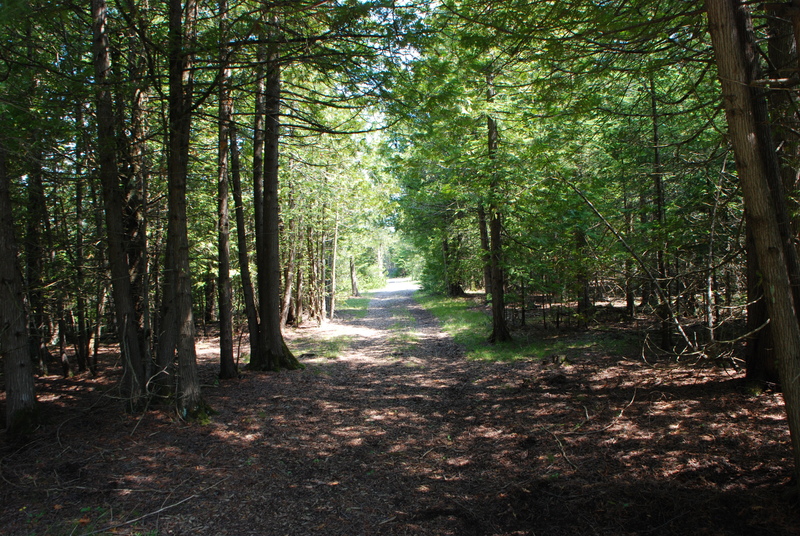 This is mostly a walk through the woods, but there are areas were Lake Huron is visible, and you will encounter nature in various aspects. I personally could have done without walking my face into a few spider webs, or the large daddy-long-legged spider that I noticed crawling on my chest, but those things are minor compared to the beauty of nature experienced throughout the walk. Huge butterflies, live snails, and spiders spinning webs were some of the things viewed. The sound of birds singing up in the trees provided beautiful background music. We were told that there are several deer on the island and did see their tracks but were not lucky enough to encounter any. Nature has its own way of creating unique beauty, from gnarled upturned tree roots to wild daisies trying to take over the pathway. There was always something to capture our attention. Had someone told me I could survive and enjoy life without tv, radio, internet/computer, telephone, motorized transportation, electricity and indoor plumbing I would have questioned the intelligence of their statement. What I found is that when eliminated from my life for the weekend I did not miss them. A stay on Middle Island is the perfect getaway. We are used to being connected at all times, we operate on a schedule and are always checking our watches, crowding activities into our busy lives. A weekend on Middle Island eliminates those things from your life. From Friday afternoon to the time Captain Mike picks you up on Sunday you are free to relax, not pay attention to time or schedules and enjoy the beauty of nature as it was created. We all left certain that we will return again some day. As we approach the 4th of July weekend many towns across the United States will be having fireworks, festivals, parades, and other ways of celebrating our Nation’s freedom. The Blue Water Area is no exception. 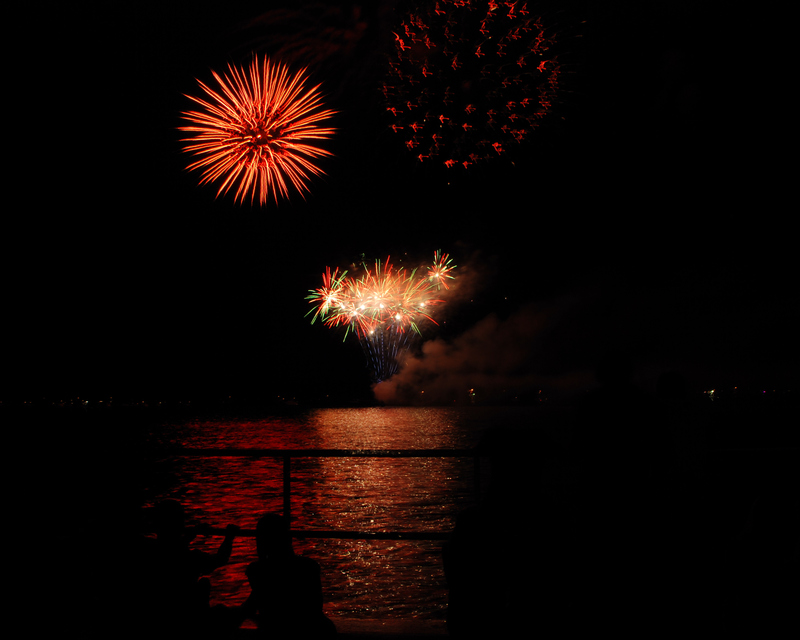 What I find a bit disappointing is that so many cities hold their fireworks on days other than the 4th of July, and I am pleased that where I live, St. Clair, Michigan, fireworks are still held on the 4th of July over the St. Clair River each and every year. What is even more wonderful about this area is that all summer the Blue Water Area is filled with a variety of things to do all summer. The summer kick-off is the Feast of the St. Clair, held every Memorial Weekend in Port Huron. This festival has been held for thirty-four years and is a living re-enactment of 18th century life. 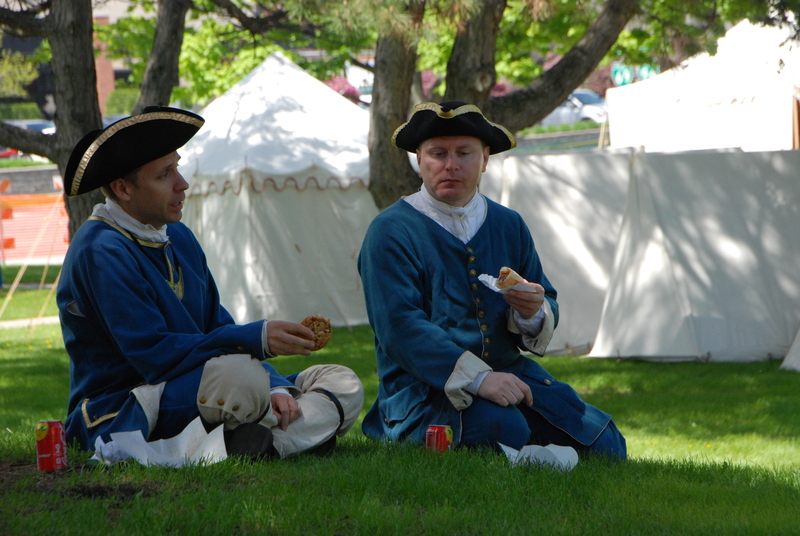 During the event Pine Grove Park is home over 100 colonial star camps and has more than 600 re-enactors who participate. Attendees can visit four different periods of Blue Water history, Native Americans, French explorers, British traders and American Revolutionaries. Battles are re-enacted and period life is demonstrated, including cooking, crafts, and children’s games. The re-enactors actually camp in the park during the event, cooking their own food over an open campfire, sleeping in authentically styled tents and dressing in period costume. After the Feast of the St. Clair, you are never without something to do in the Blue Water Area. 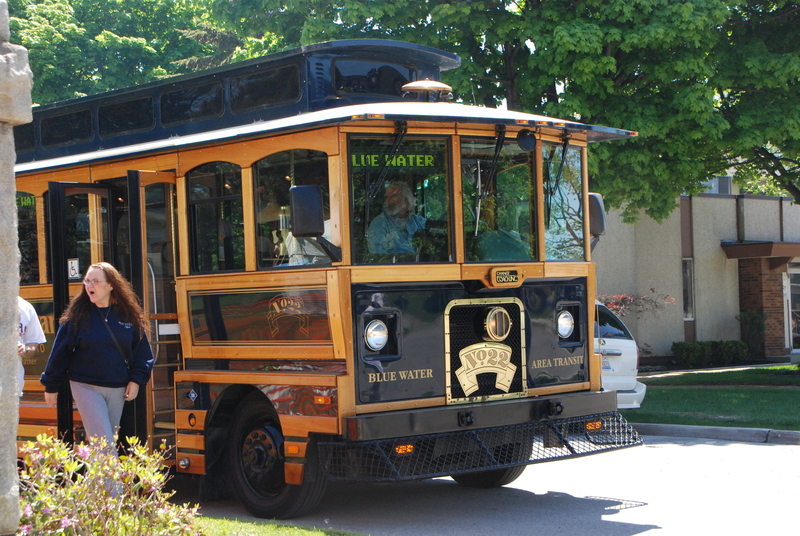 Be a Tourist in Your Own Town lets both locals and tourists visit a wide variety of museums, the lighthouse, take a cruise on the Huron Lady II, and participate in numerous other activities, with transportation between locations provided by the Blue Water Trolley. 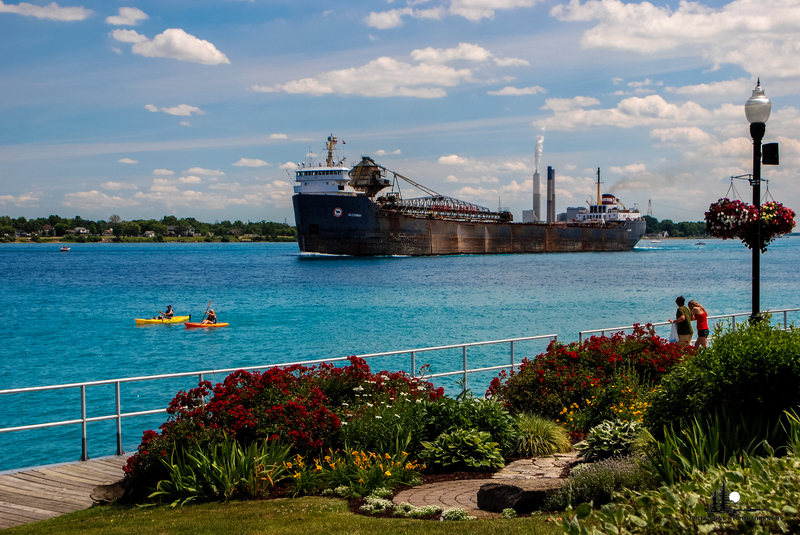 Whether riding during the event or at any other time, you can sit back and for your ten cent fare enjoy a one-hour tour of various attractions and historic sites in Port Huron. Well worth the investment! 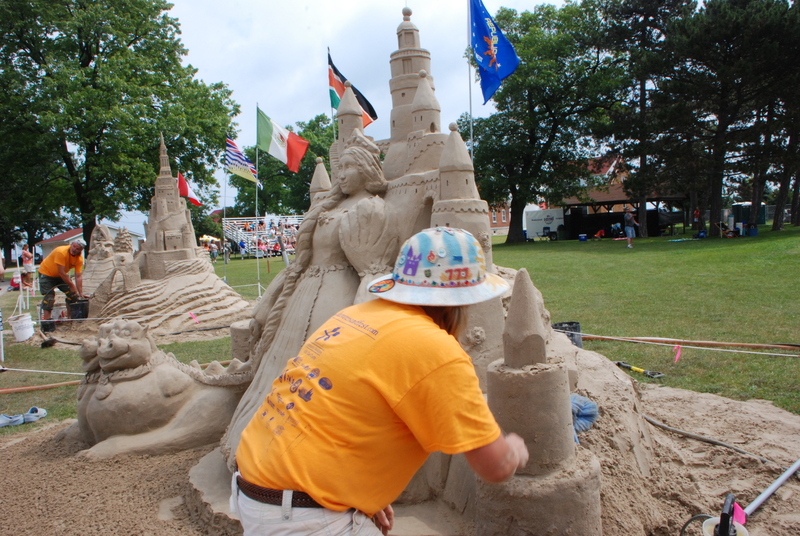 The BW Sandfest is a professional sand sculpture event conducted by The Sand Lovers and is held on the grounds of the Fort Gratiot Lighthouse in Port Huron. Photo by Grace Grogan. It doesn’t matter when in the summer you visit, there will always be something to do. Art Fairs are held a various times in Lexington, Port Huron, Marysville, St. Clair, New Baltimore and Algonac. Fishing is a popular sport and you will find things such as the Salmon Steaks in St. Clair or the Pickerel Tournament and Festival in Algonac. If you are into cars or antique boats you will not be disappointed. Many car shows and cruise nights are held including the Port Huron Cruise Night and Car Show, The St. Clair Classic Car Show, Antique Boat Show in St. Clair, and the Antique Boat Parade in Algonac. Marysville hosts two car shows back-to-back with Rumble in the Park featuring hot rods, custom and muscle cars followed by The Past and its Wheels featuring cars built before 1959, including the Wills Sainte Claire cars that were built between 1921 to 1926 in the Marysville Factory. The Wills Sainte Claire Museum is open the second and fourth Sundays of the month August through September and is one of many area museums. 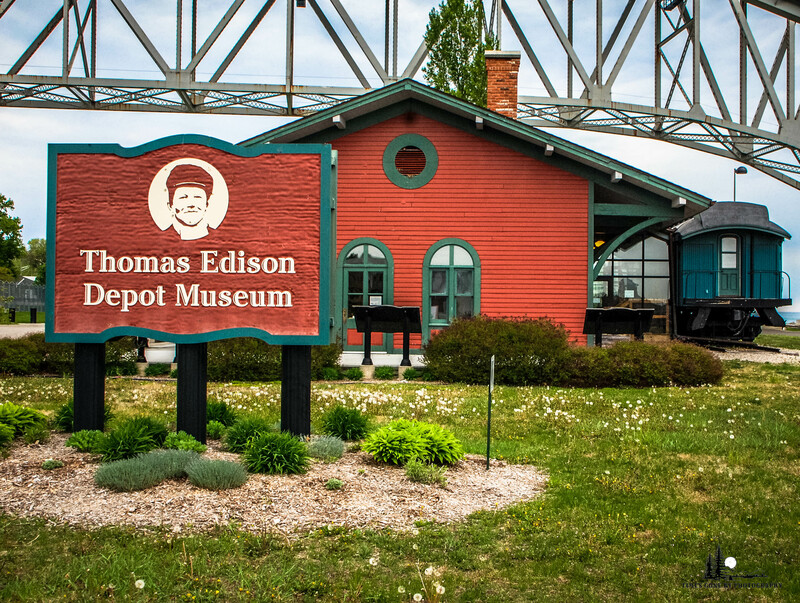 Other local museums include the Carnegie Center, Thomas Edison Depot, Huron Light Ship, Bramble, and many small local museums in the various towns along the waterfront including New Baltimore and St. Clair. Don’t leave yet because we have more fun activities for you to attend. The Bay Rama Fish Fly Festival is held every year in New Baltimore is now in its 50th year and is the only Fishfly Festival in the world. It includes a carnival midway, live music, and various family activities such as pie eating contests and various games. Maritime Days in Marine City is an annual three-day event that includes music, food, fun and a parade. A new event, now in its second year is the Blue Water Sand Fest, voted by USA Today as one of the top 10 in 2013, its first year here in the Blue Water area. 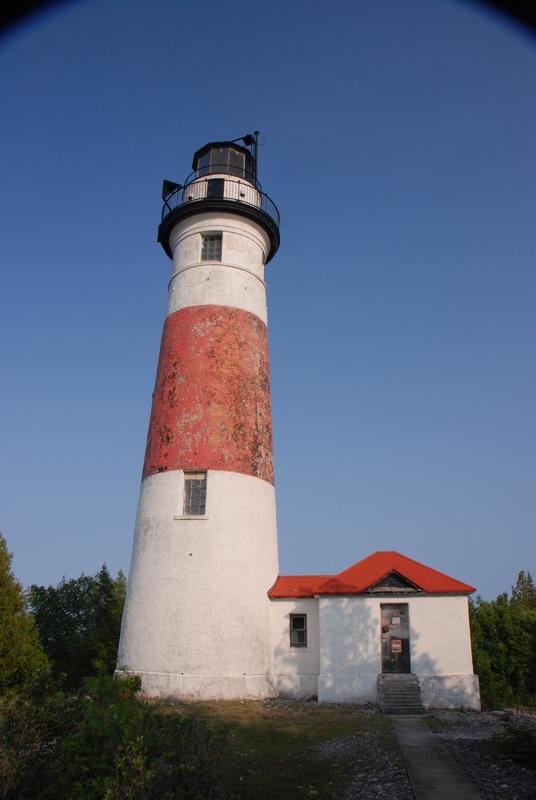 The event is held on the grounds of the Fort Gratiot Lighthouse and features professional, advanced amateur and amateur sand sculptures. Events surrounding the water abound. In St. Clair you won’t want to mist River Fest and Offshore Classic Racing. 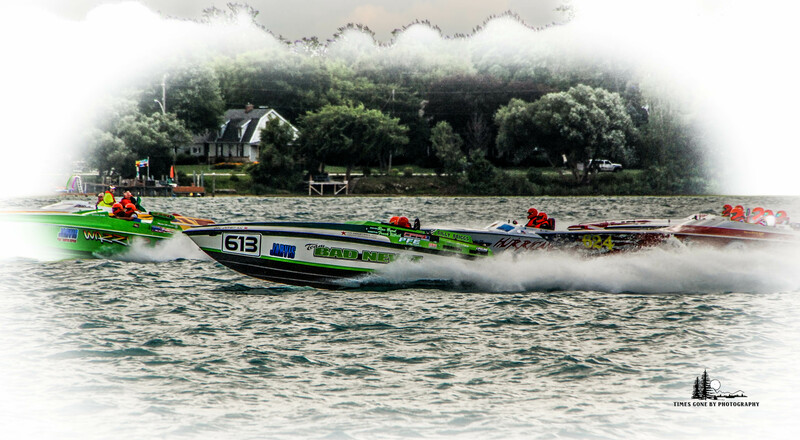 The event features a carnival, spectators can visit dry docks, wet docks, and of course watch the offshore powerboat races on the beautiful St. Clair River. 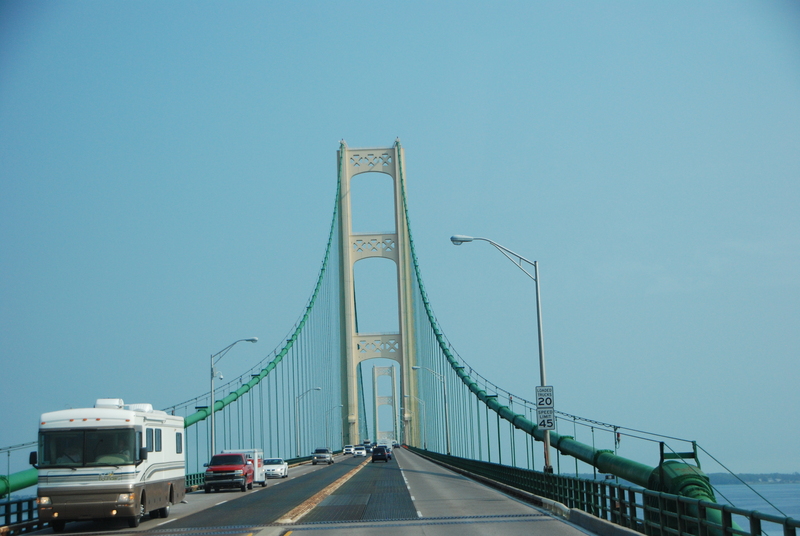 Port Huron also hosts an Offshore Powerboat Race event and the famous Bayview Port Huron to Mackinac Sailboat Race. 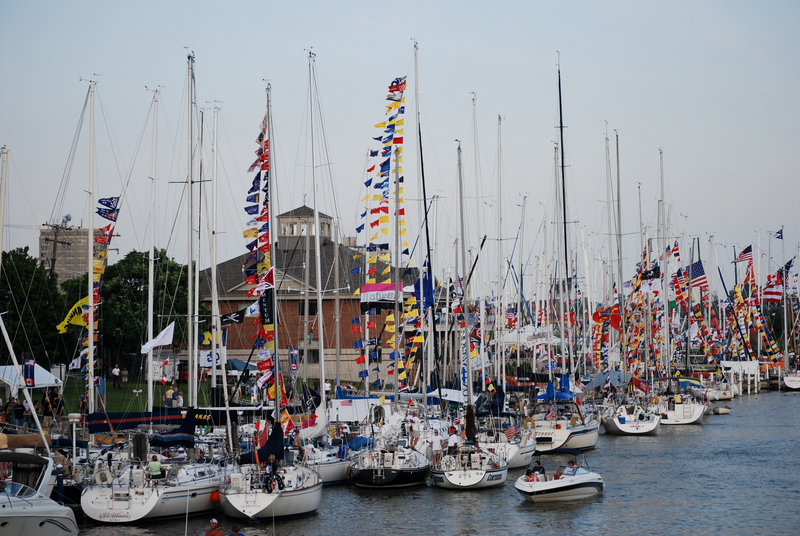 This sailboat race is a popular event in Port Huron, featuring a carnival midway and various activities downtown and along the waterfront. Walk along the Black River to view the boats that have arrived to participate in the race, live manikins, food and fun abound. Thursday is family night, and Friday is boat night, a huge celebration the night before the race. Saturday morning line up along the Black River to view the boats as they parade out of the river and onto Lake Huron to begin the race. 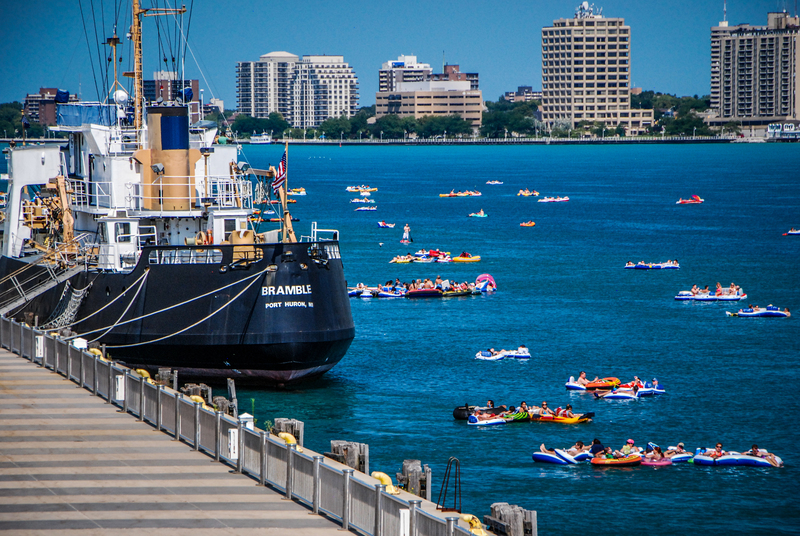 An annual event on the water that draws thousands of participants and spectators is a free event, the Port Huron Float Down. Participants climb into inner tubes, rafts and any other type of floating device at Lighthouse Beach just north of the Blue Water Bridges and then float down to Chrysler Beach in Marysville. A fun event for all whether floating or watching. As the summer winds down into fall, an event you won’t want to miss is Whistles on the Water in St. Clair. 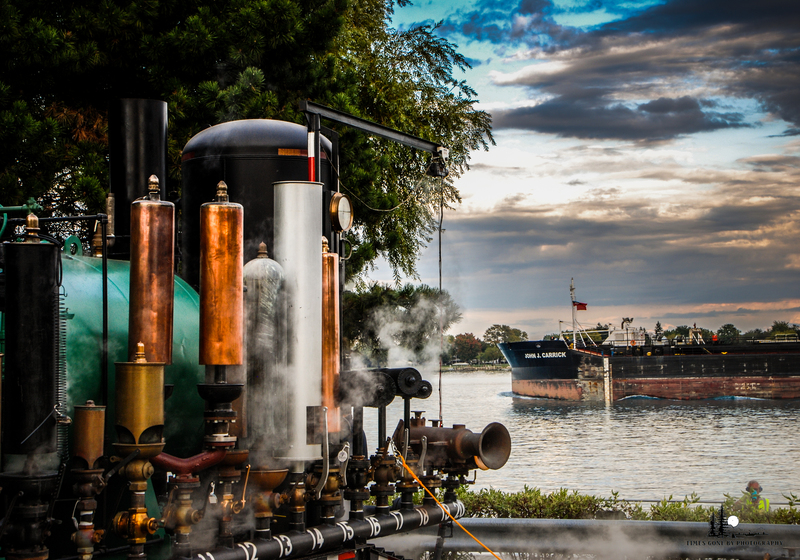 This event features antique steam whistles from lake freighters and passenger ships and is one of the largest gatherings of large steam whistles in the world. The whistles are attached to one of the largest portable steam boilers on earth specifically designed to blow whistles using a fire-tube boiler that generates steam pressure to blow the whistles. 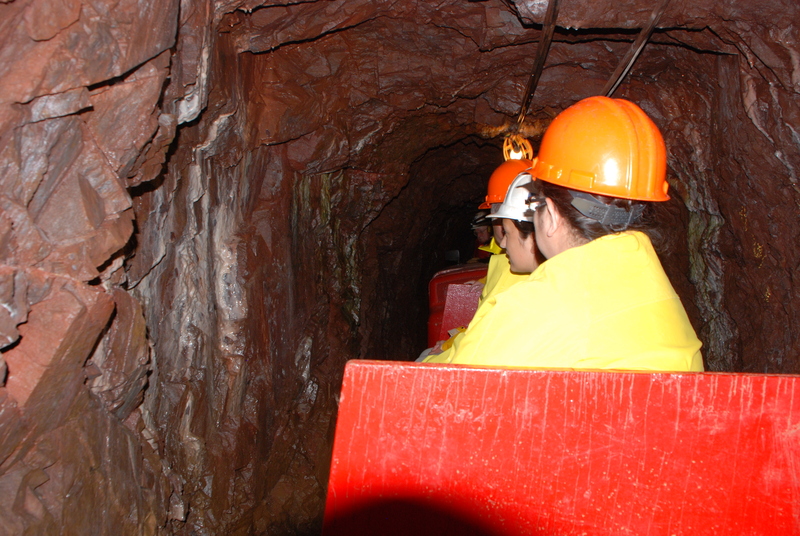 Free ear plugs are provided to visitors as when the whistles blow it is really loud! A fun activity for children is a set-up on the waterfront of smaller whistles where the children can pull the cord to sound off one of several whistles. The event is combined with “Chalk the Walk” which allows both adults and children the opportunity to color the walks of the St. Clair Mall with drawings using sidewalk chalk. This is just a brief overview of various activities in the area and you may want to check Discover the Blue travel guide to get a more complete lineup of everything there is to do in the beautiful Blue Water area. 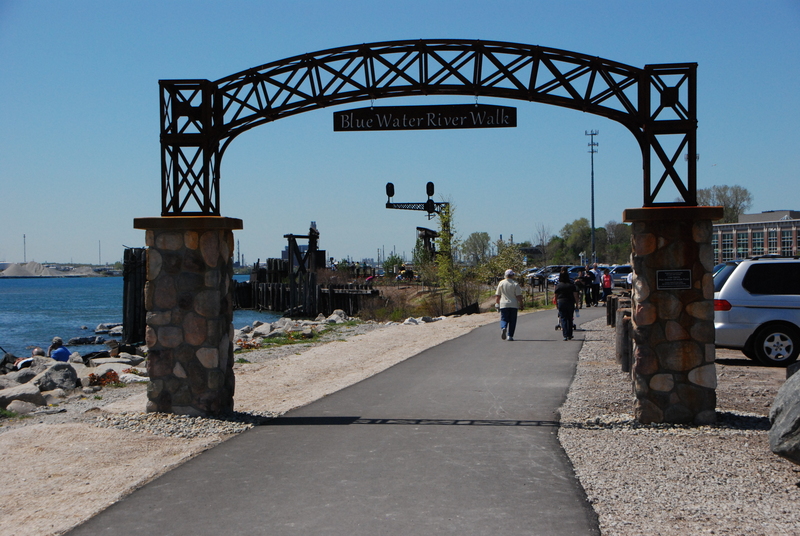 You won’t want to miss taking a walk along the boardwalk in St. Clair, the longest freshwater boardwalk in the world. Stop by Desmond Landing in Port Huron to visit the Boat Nerd and stroll the new River Walk you will find there, walk the pier in Lexington, stroll under the Blue Water Bridge along the Thomas Edison Parkway in Port Huron, or walk the boardwalks in Marine City, New Baltimore and Algonac. I love living in the Blue Water area, which to me is small town living with all the advantages of a tourist town. It is a Melting Pot of things to do, with something for everyone. If you’ve never visited the Blue Water area, put it on your next vacation itinerary, you won’t be disappointed!